The Sophisticated Way to Show Off Your PhotosCustom canvas photo prints are an awesome way to print photos or media onto a canvas of any size. Print your own photos onto a beautiful canvas to display in your home or office, or go bigger for huge areas like lobbies. We use high quality canvas materials to ensure your canvas lasts as long as possible. Use the quote box below to get a customized quote for your order. Custom order canvas prints any size up to 96"
Can come preframed or in a roll, depending on your needs. Custom canvas photo prints are an awesome way to print photos or media onto a canvas of any size. We use high quality canvas materials to ensure your image stays vibrant and lasts as long as possible. Photo printing on canvas makes for a highly attractive final product that resembles an oil or acrylic painting. They are a fabulous way to display your memories, photography, or digital artwork. A canvas photo print also makes a fabulous gift for a loved one. 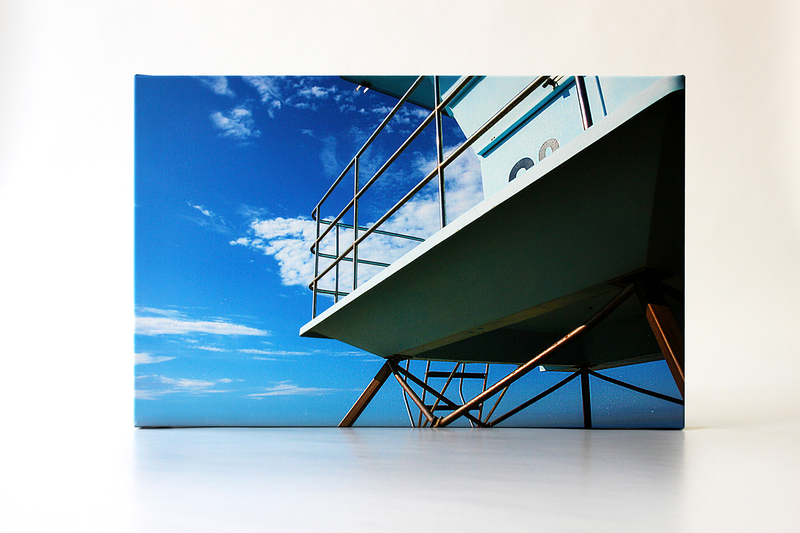 When you order a canvas print from Coastal Creative, you have the options of ordering it rolled or pre-framed. 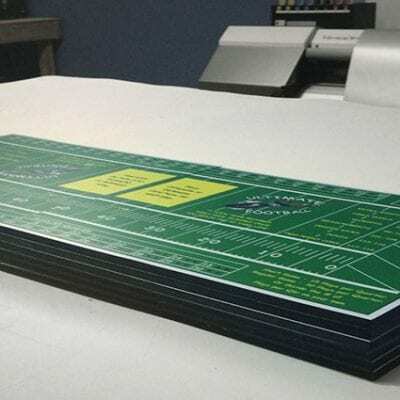 The benefit of ordering a rolled up print is that it generally makes for faster, easier shipping, and also gives you the opportunity to transform the materials to suit your product. The benefit of odering a pre-framed print is that you can hang it immediately upon arrival. Do keep in mind that, depending on the size of your print, shipping may take longer or require special packaging. We can print as small as 18″ x 24″ for your custom canvas print – this would be the perfect dimension for hanging a family photo in your home or office. We can also print huge, wall-sized canvas prints up to 96″ x 224″. These ginormous canvas photo prints would look striking in an office, lobby, gallery, or any other large public space where you need to make an impression. 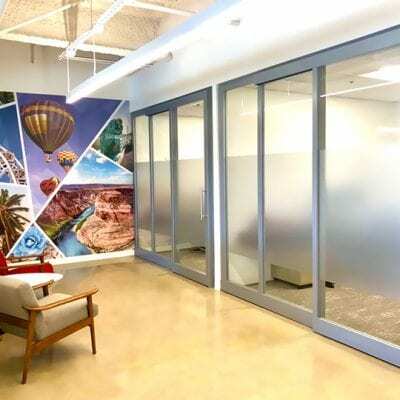 Even larger projects can be split into multiple panels and hung in varying patterns, making for a neat divided effect that can be designed to be incredibly visually interesting. 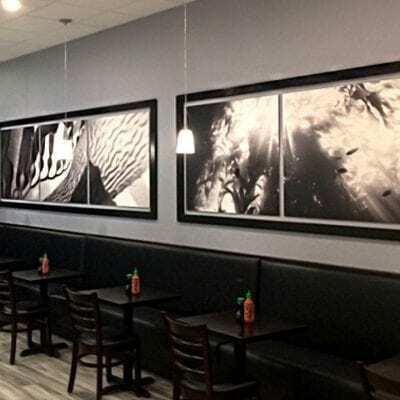 If you’re not sure about how to best take advantage of your available space to display a canvas photo print, give us a call and our reprographics experts will be happy to brainstorm with you and lend some advice. The materials used in the canvas printing process are hugely important in determining how well the image turns out. For this reason, we never skimp on the materials for our canvas photo prints. We use high quality archival canvas and inks made in the United States of America. 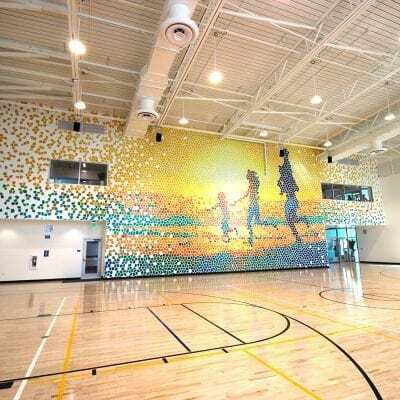 Here at Coastal Creative, we always use the best materials available to ensure that each large format project turns out as perfect as possible. But just because we use the best materials and expertise doesn’t make us expensive. We will never upsell you on something you don’t need and can help save you from having to pay more to fix a job that wasn’t done right in the first place. We will also give you tips on troubleshooting your coloring scheme to make sure your canvas photo prints come out exactly as you envision. Tell us about the lighting in the intended display space, and we will be happy to share some best practices for creating your photo printing on canvas. Our canvas printing services are not limited to just photos. We can print artwork as well as custom graphic designs on canvas for a sophisticated and artistic look. Especially because canvas printing reproduces the look of acrylic or oil paintings, canvas is the natural choice for such print projects. Where paper or foamcore photo prints have their uses for temporary displays, a canvas print is a long lasting and highly attractive medium for longterm displays. Works that you are truly proud of deserve to be displayed proudly, and canvas is the perfect way to do just that. 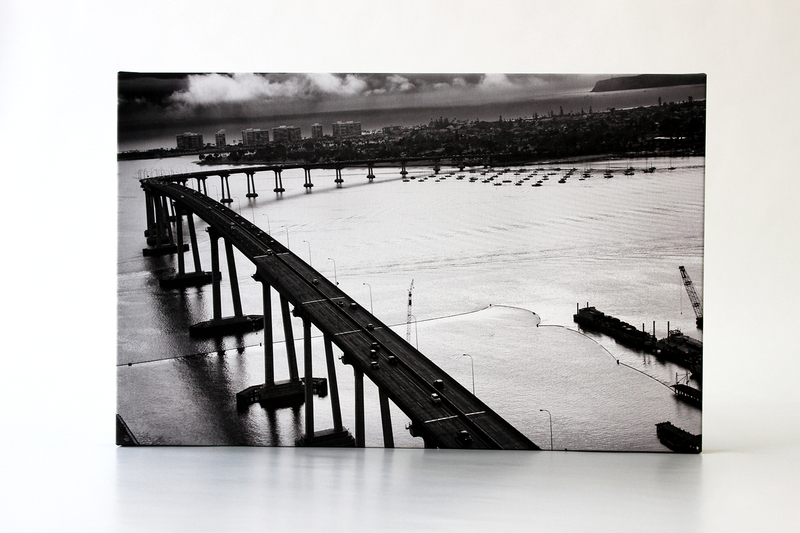 Both light weight and durable with plenty of sizing options, your art will look amazing printed on canvas. 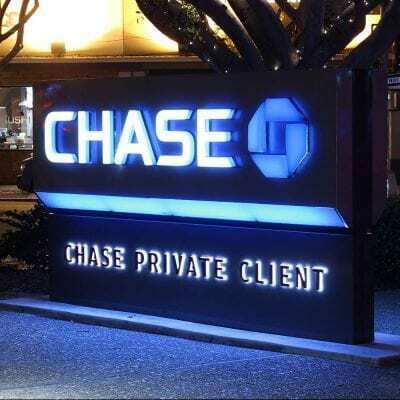 While many people desire that we print their pre-edited photographs on canvas, canvas prints are also a great medium for displaying corporate logos and designs. If you don’t yet have a ready-made image for your next canvas printing project, we have a team of in-house graphic designers that can help you craft the perfect design for your organization. We’ll work with you and your colors, theme, and imagery to ensure the design is on-brand and meets the project goals. We have affordable rates for the design. Contact us or give us a call to discuss your ideas. Life span ultimately depends on how the canvas prints are handled. If kept indoors at a controlled temperature and out of unfiltered sunlight, canvas prints can last more than a decade or longer. If your canvas prints are displayed outside, in direct sunlight, or in rapidly changing conditions, the quality may deteriorate more quickly. If you already know how your canvas photo print will be displayed, let us know during the free consultation so that we can give you a more precise estimate for the life span of your canvas photo print. We will gladly lend some advice about how to get the most amount of years out of your print. We are a San Diego-based printing and reprographics company that ships nationwide. We design and print your project in our San Diego warehouse using American-made inks and materials. We then ship nationwide, paying careful attention to proper packaging to protect your project and ensure a safe delivery. Depending on the scope and size of your project, we may offer free or expedited shipping. 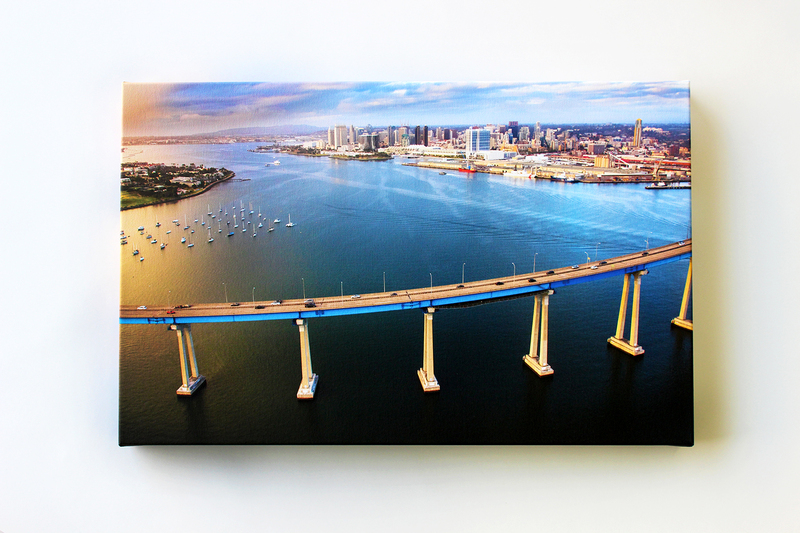 If you live in the San Diego, Orange County, or Los Angeles areas, we will happily deliver your canvas photo printing project upon completion. If you require any assistance with the installation and display process, we are glad to assist you with that at the time of delivery. Of course, if you live in the area, you are also always welcome to stop by our San Diego warehouse to pick up your prints yourself. We’d be glad to see you! Your top questions about custom canvas photo printing. What's the width of the product? What's the lead time on this product? 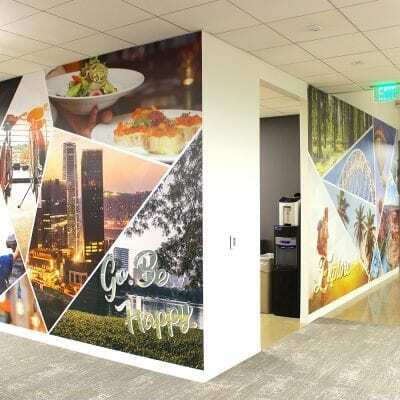 Where paper or foamcore photo prints have their uses for temporary displays, a canvas print is a long lasting and highly attractive medium for longterm displays. 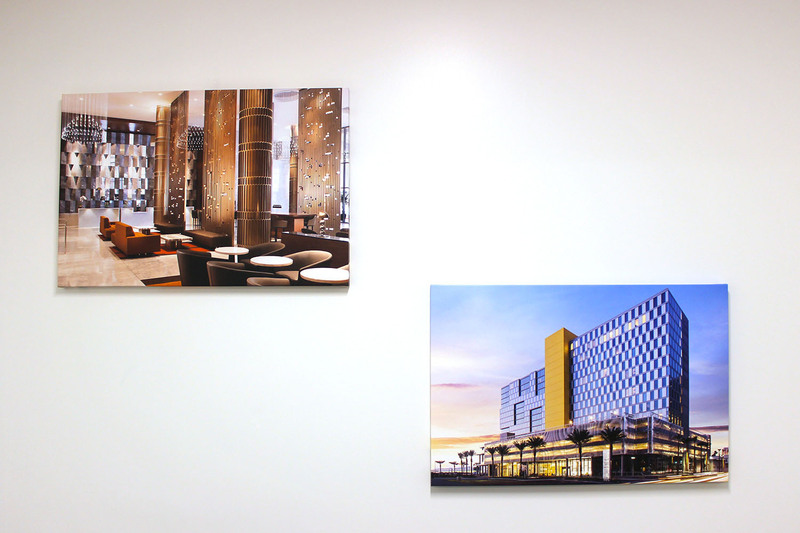 Works that you are truly proud of deserve to be displayed proudly, and canvas is the perfect way to do just that. Both light weight and durable with plenty of sizing options, your art will look amazing printed on canvas. I met with Mark and Todd last week about getting some fine art prints on canvas for me for display in a local gallery and sale on my site. After talking to them, I had them do five canvas prints, 16×24, stretched/framed and museum wrapped. They look awesome. After I picked them up, Mark even called me to make sure that I was 100% satisfied! Great product, great customer service – highly recommended.